The results that you need. The representation you deserve. The Law Offices of Frederick W. Nessler and Associates, Ltd. is one of the most skilled and experienced personal injury law firms in Illinois. We have a highly skilled and caring team of personal injury attorneys that is devoted to telling your side of the story and securing a maximum financial recovery for your bodily injury claim. Respected throughout the state, our legal staff has years of successful trial experience and are extremely aggressive in achieving winning results. We will aggressively help you secure the recovery you need, and we will provide you with the representation you deserve. Our team of personal injury lawyers have been helping injured people for over 35 years. Our experience allows us to help you secure a fair settlement for your bodily injury or wrongful death lawsuit. For instance, one aspect of recovery recognized in Illinois is pain and suffering. There is no pain and suffering formula or pain and suffering calculator. A pain and suffering settlement figure is based upon expert negotiation prior to litigation or holding the wrong doer responsible at trial if they refuse to pay a fair amount towards your pain and suffering claim. Our personal injury attorneys have experience with all types of injury claims. Our largest personal injury settlement exceeds $15 million. That claim involved a traumatic brain injury. While we know how to expertly handle catastrophic injury cases, we also have superior experience with whiplash, head injury, acute kidney injury, knee injury, soft tissue injury, shoulder injury, and all other bodily injury liability claims. We have achieved excellent nursing home negligence settlement results, workers compensation settlement results, medical malpractice settlement results, rear end collision settlement results, wrongful death settlement results and the list goes on. If the defendant will not offer a fair and reasonable settlement figure, we will try your lawsuit. 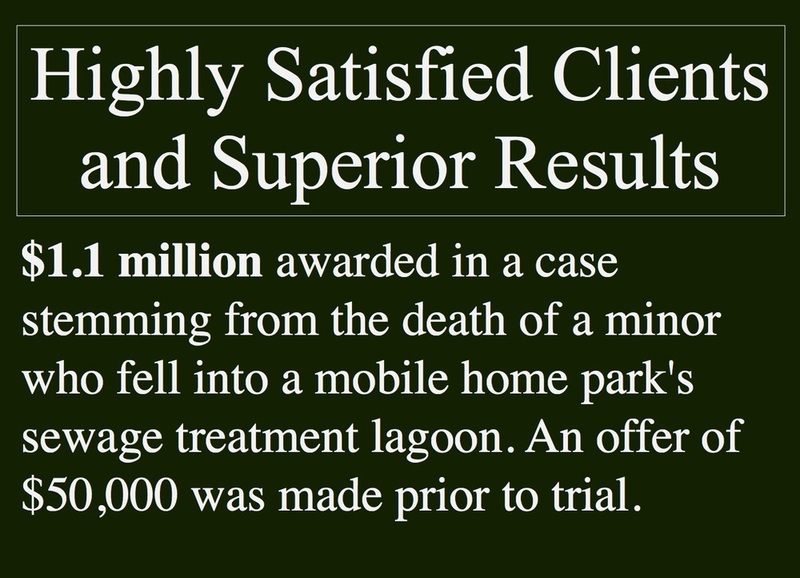 We have achieved several million and multimillion dollar awards at trial. Whether your claim results in an insurance settlement or a jury award at trial, Nessler & Associates will be there for you throughout your claim. We pride ourselves in open communication with our clients. If you have a question about your case, an attorney will call you back. If you do not hear back from the attorney within 24-hours, because that lawyer is on the road, in a deposition, or otherwise out of the office, you may call one of our staff and set an in-person meeting or telephone conference. It is important to us that your questions are answered right away. Out experienced team of personal injury lawyers practice throughout central Illinois. 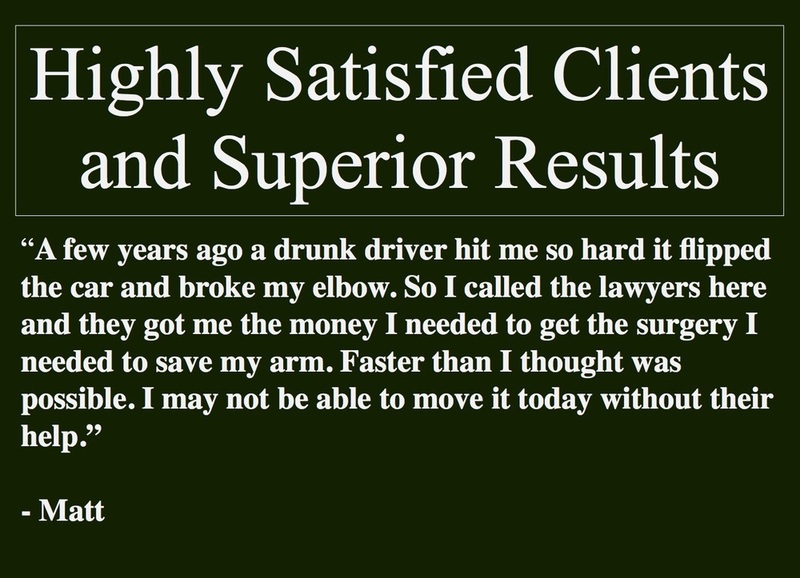 We have the experience to aggressively handle your negligence claim and achieve prompt results. The Law Offices of Frederick W. Nessler was founded by Frederick W. Nessler. Fred Nessler began his career as a personal injury attorney in Lincoln, Illinois. Mr. Nessler opened a personal injury law firm in Springfield, Illinois. shortly thereafter. Mr. Nessler has worked hard as a personal injury lawyer in Springfield, Illinois, for over 35 years. Nessler & Associates now has law firm locations throughout Illinois. Call us now for a free consultation. We handle personal injury claims on a contingency fee. You will not owe us anything unless your case is settled or won. 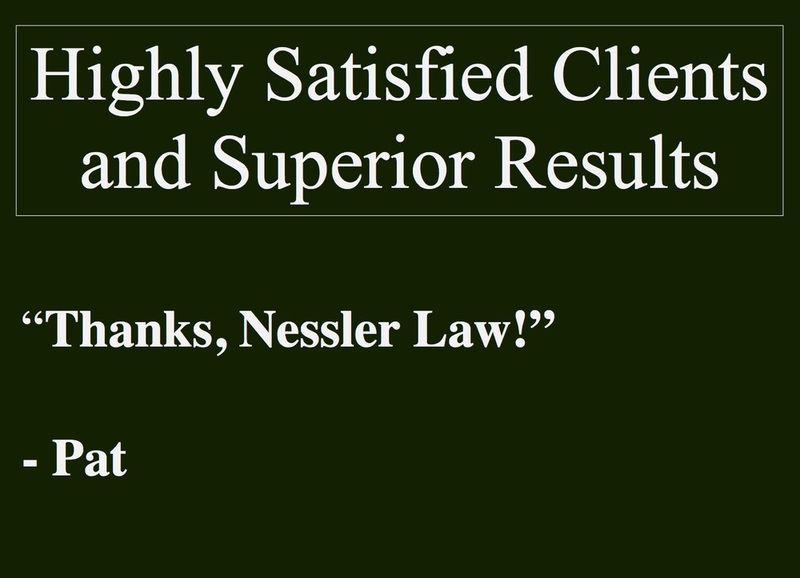 The Law Offices of Frederick W. Nessler & Associates, Ltd. prioritizes open communication with its clients. We make every attempt to promptly return phone calls and emails. An attorney will answer a client's legal questions, whether the question is simply about the basics of a lawsuit or a complex question specific to the facts of that client's case. 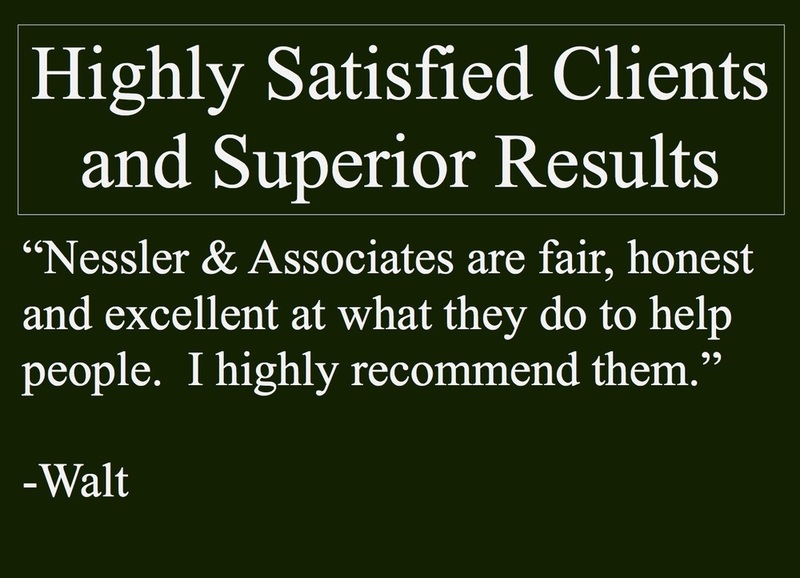 Exemplary Results Lead to Highly Satisfied Clients. A majority of our clients are referred to us by past clients or other law firms. 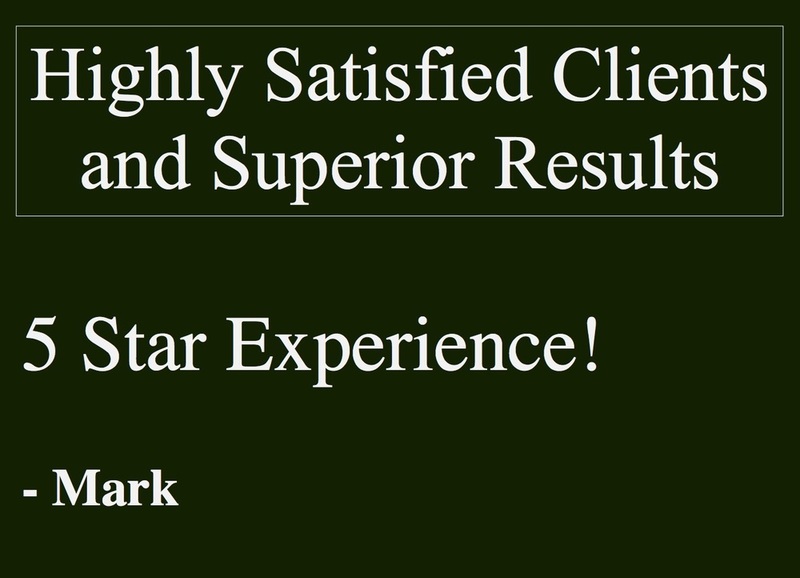 We strive to obtain the absolute best results, and give each of our clients the best experience possible. Below are a few reviews. You can find a full list of reviews on our client reviews and testimonials page.